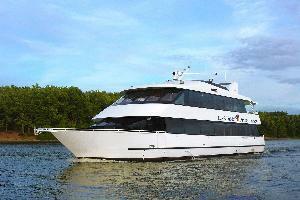 Main Street Lake Cruises is conveniently located at Branson Landing in historic downtown Branson, Missouri. 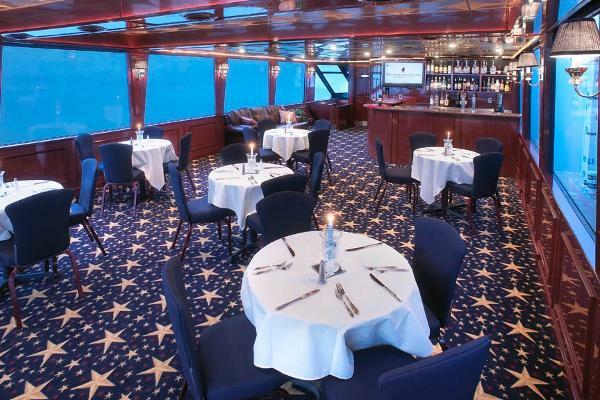 We offer a variety of lake cruises for groups or individuals, from delicious Lunch Cruises, romantic Dinner Cruises, and historic Sightseeing Tours, Special Events and Holiday Cruises. 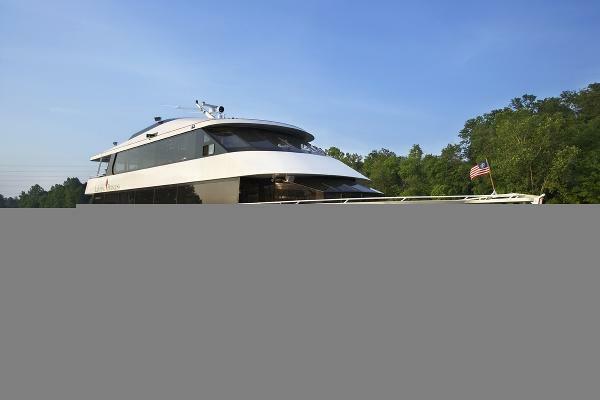 Choose the Lake Queen, a modern day riverboat replica, or the Landing Princess, a 100' luxury yacht - both brand new in 2008! 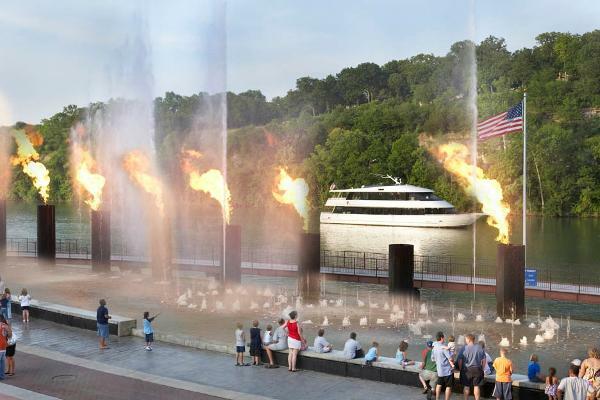 Your cruise experience will also include the performances of the Branson Landing Fountains, a $7.5 million spectacular attraction that synchronizes water, light, sound and fire. 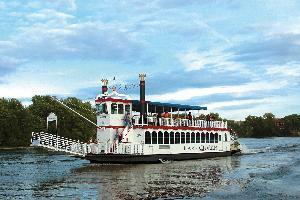 The Lake Queen is a modern day replica of the grand riverboats which used to ply the White River in Branson, Missouri. Traditional Thanksgiving Dinner with all the fixens. 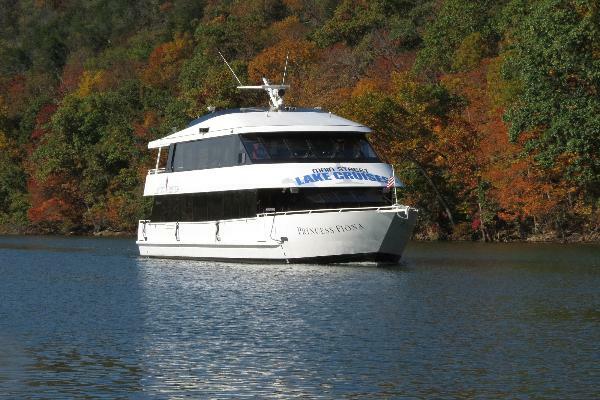 Main Street Lake Cruises offers sightseeing cruises and scenic tours around Lake Taneycomo. Enjoy breathtaking panoramic views of the majestic Ozark Mountains and take in the immense diversity of Branson's wildlife while cruising past the Branson Landing waterfront. 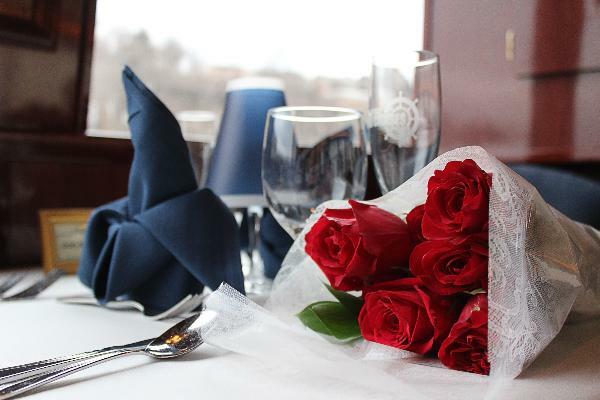 We offer lake cruises ranging from delicious lunch cruises to romantic dinner cruises, from narrated sightseeing tours to special events and holiday cruises throughout the year. 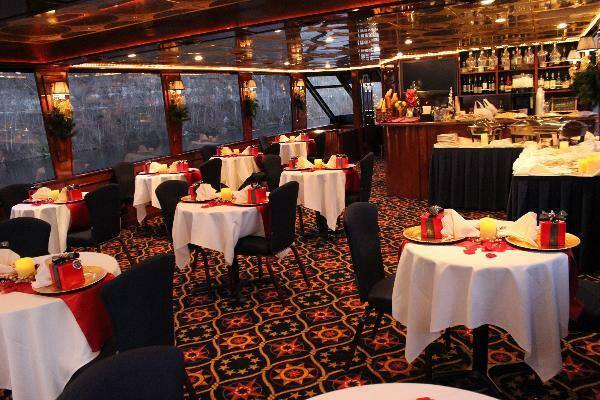 Whether it's fun for the whole family or a special night out for two, Main Street Lake Cruises has a trip that's perfect for any occasion. 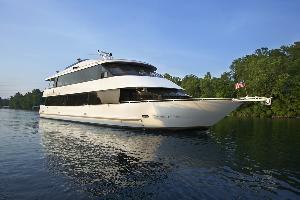 Main Street Lake Cruises also offers private and customized events for any occasion. 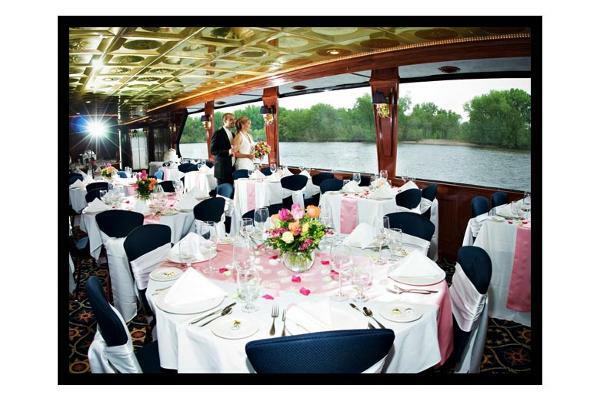 Whether you are planning the perfect wedding, a private party, or are looking for a unique option for your next corporate teambuilding event, Main Street Lake Cruises has a wide range of customizable options that will meet your group's needs. 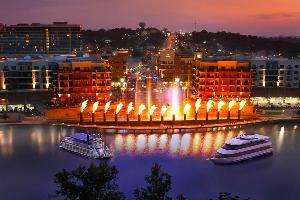 We are conveniently located at Branson Landing in historic downtown Branson, Missouri. This provides easy access for our guests to enjoy all that the Branson Landing promenade and boardwalk have to offer. 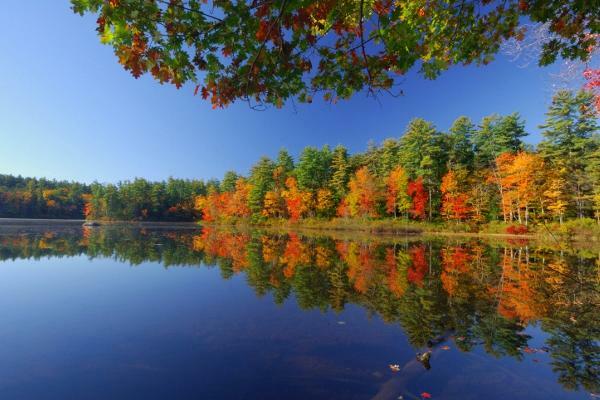 Main Street Lake Cruises offers great entertainment for both out of town visitors and local residents from Stone, Taney, and other area counties. I authorize and understand that the credit card listed above will be charged for this transaction. I further understand that any changes or cancellations that I need to make to reservations need to be done so directly with the Main Street Lake Cruises office, and a valid change or cancellation confirmation number needs to be obtained, by calling 417-239-3980. Changes or cancellations made via email or otherwise electronically are not valid until you get a confirmation from speaking directly with someone at Main Street Lake Cruises. 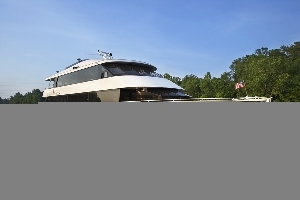 The following are the additional terms that govern your transaction with Main Street Lake Cruises and Main Street Marina (together MSLC) through www.MainStreetLakeCruises.com. Permitted Use. You agree that you are only authorized to visit, view and to retain a copy of pages of this web site for your own personal use, and that you shall not duplicate, download, publish, modify or otherwise distribute the material on this web site for any purpose other than to review availability, for personal use, or to purchase tickets, unless otherwise specifically authorized by MSLC to do so. The content and software on this site is the property of MSLC and/or its suppliers and is protected by U.S. copyright laws. Access and Interference. You agree that you will not use any robot, spider, other automatic device, or manual process to monitor or copy our web pages or the content contained thereon or for any other unauthorized purpose without our prior expressed written permission. You agree that you will not use any device, software or routine to interfere or attempt to interfere with the proper working of the MSLC web site. You agree that you will not take any action that imposes an unreasonable or disproportionately large load on our infrastructure. You agree that you will not copy, reproduce, alter, modify, create derivative works, or publicly display any content (except for your own personal, non-commercial use) from our website without the prior expressed written permission of MSLC. Copyright Policy. User acknowledges that the MSLC web site contains information, data, software, photographs, videos, typefaces, graphics, music, sounds, and other material (collectively Content) that are protected by copyrights, trademarks, trade secrets, or other proprietary rights, and that these rights are valid and protected in all forms, media and technologies existing now or hereinafter developed. All Content is copyrighted as a collective work under the U.S. copyright laws, and MSLC owns a copyright in the selection, coordination, arrangement, and enhancement of such Content. User may not modify, remove, delete, augment, add to, publish, transmit, participate in the transfer or sale of, create derivative works from, or in any way exploit Content, in whole or in part. If no specific restrictions are displayed, Users may make copies of select portions of the Content, provided that the copies are made only for Users personal use and the User maintains any notices contained in the Content, such as all copyright notices, trademark legends, or other proprietary rights notices. Except as provided in the preceding sentence or as permitted by the fair use privilege under the U.S. copyright laws, User may not upload, post, reproduce, or distribute in any way Content protected by copyright, or other proprietary right, without obtaining permission of the owner of the copyright or other proprietary right. In addition to the foregoing, use of any software Content shall be governed by the software license agreement accompanying such software. Disclaimers. MSLC does not promise that the web site will be error-free, uninterrupted, nor that it will provide specific results from use of the web site or any Content. The web site and its Content are delivered on an as-is and as-available basis. MSLC cannot ensure that files you download from the web site will be free of viruses or contamination or destructive features. MSLC disclaims all warranties, express or implied, including also any implied warranties of merchantability and fitness for a particular purpose. MSCL will not be liable for any damages of any kind arising from the use of the web site, including without limitation, direct, indirect, incidental, and punitive and consequential damages. MSLC makes no guarantee of any specific result from use of this web site or use of the MSLC services. Disputes. If there is any dispute about or involving the web site, by using the web site, you agree that the dispute will be governed by the laws of the State of Missouri without regard to its conflict of law provisions. You agree to personal jurisdiction by and venue in the state and federal courts of the State of Missouri. Indemnity. You agree to indemnify and hold MSLC, its subsidiaries, affiliates, officers, agents and other partners and employees, harmless from any loss, liability, claim or demand, including reasonable attorneys fees, made by any third party due to or arising out of your use of the web site, including also your use of the web site.